It’s race day and the crowd is thirsty! 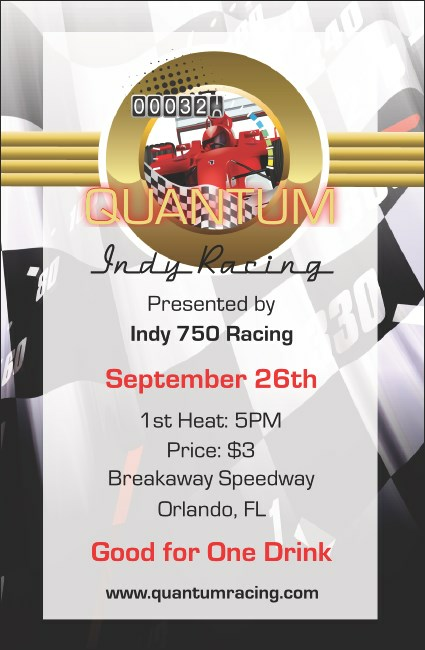 Get them prepped to watch the excitement by selling the Indy Race Drink Ticket ahead of time. Service staff and racing fans can all agree: it’s more fun when the drinks are coming as fast and furious as the cars are racing! Take a go around the design gallery at TicketPrinting.com and find all sorts of great options for your promotional campaign.